Well, those who know me know that I am a Costco fanatic. I am also a true believer in supporting small and local businesses, but when it comes to big businesses Costco is just about the only one that I get behind. Primarily, because they treat their employees well. Anyway, I am thrilled to have my book there and excited to be doing a signing at my local Costco at 3900 Dublin Street on Saturday, May 10th from 2pm to 4pm. Come out and say hi, and feel guilt-free about buying in bulk! 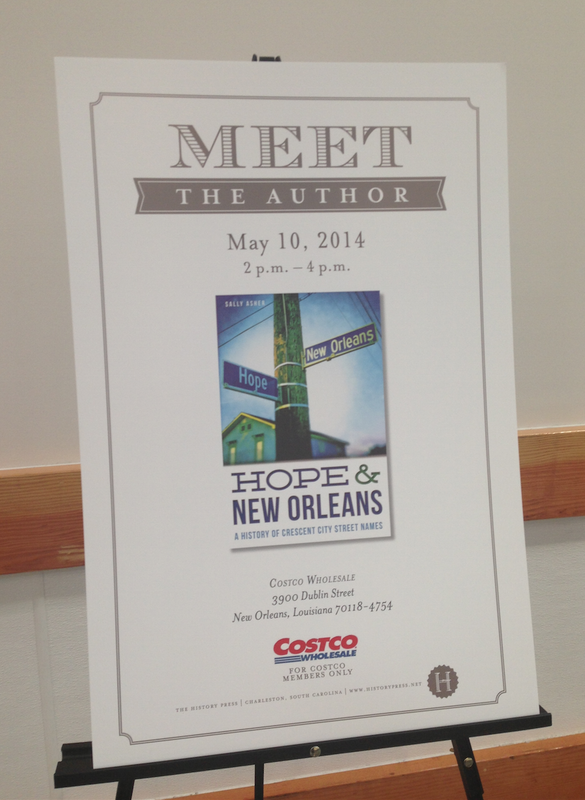 This entry was posted in History, Hope and New Orleans, New Orleans, Photography, Research and tagged book signing, costco, history, hope and new orleans, New Orleans, Photography, research, street names, street signs. Bookmark the permalink.